So, I was at T.J.Maxx shopping the clearance section (per usual) and found a $4 tub of 36 cookie cutters. The cashier discouraged me from purchasing them because, “they don’t look right when you bake with them.” I’m honestly surprised I heard her, because my nanny head was already spinning with ideas (completely unrelated to baking) that I could use these for with my cuties. While I appreciate her candor, it didn’t make me even remotely hesitate to buy them. Best. Money. Ever. Spent. My cutie was asking to play with Playdoh earlier in the week, so I took this opportunity to grant her request. Only needed two supplies: Playdoh and these amazing cookie cutters. I really hope she likes them, because I’m obsessed! The first thing we did was roll out the dough and play in it. My little monster chose all of her favorites and made me all the K “cookies” I could stand. Then, we made words. Mostly words she can recognize, like her name, etc. I picked a few of my favorite words as well and had her point to the letters. Her sister is starting basic math. She will completely love these too! Who wouldn’t want to practice math like this?? Bottom line, whatever your cuties’ ability, they will love this! Try it out with patterns, letter/number recognition, spelling, math, motor skills, and FUN! The caps are the perfect size for little hands to grab and can be used for so many different things. Today we were working on letter recognition with my youngest cutie, and spelling with my oldest (It’s more fun than traditional spelling tests). I’m amazed at how many different activities we’ve been able to do with such simple materials. Feel free to share what you end up doing with your old caps! The cuties and I had the opportunity to check out the new book 100 Fun and Easy Learning Games for Kids and we’re so excited to share our review of one of the activities! I don’t know about you, but my kiddos love seeing and taking pictures (especially selfies!). This activity, Family Photo Word Puzzles, lets them use their very own photos to practice word recognition. Simply cut apart their favorite photos, add the proper spelling, and toss them into a bag. As they take turns pulling out and assembling their photos, they don’t even realize they are learning! We discovered this game just in time for summer break. Since it travels well, we can play Family Photo Word Puzzles in the backyard, at the pool, or in our playroom tent. 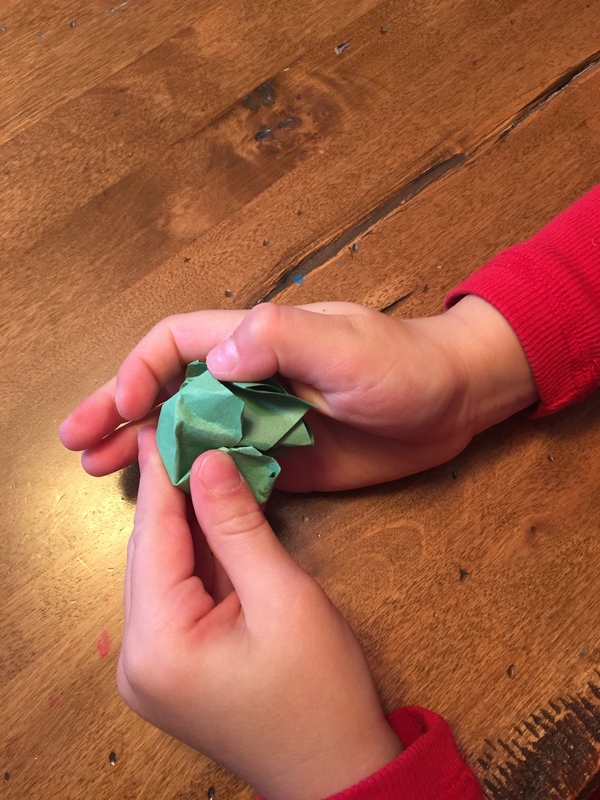 This game is also simple enough for kids to facilitate by themselves (even though you won’t want to miss it), leaving time to toss in a load of laundry or reheat the cup of coffee that you’ve attempted to drink at least ten times. It is cute hearing them giggle when they’ve mixed the pieces up and created silly versions of themselves. As a nanny, I also really appreciate that this game is suitable for varying skill levels, allowing my 6 and 3-year-old to play together. We highly recommend trying this! *Disclaimer: This activity/photo has been reprinted with permission from the publisher from 100 FUN & EASY LEARNING GAMES FOR KIDS. 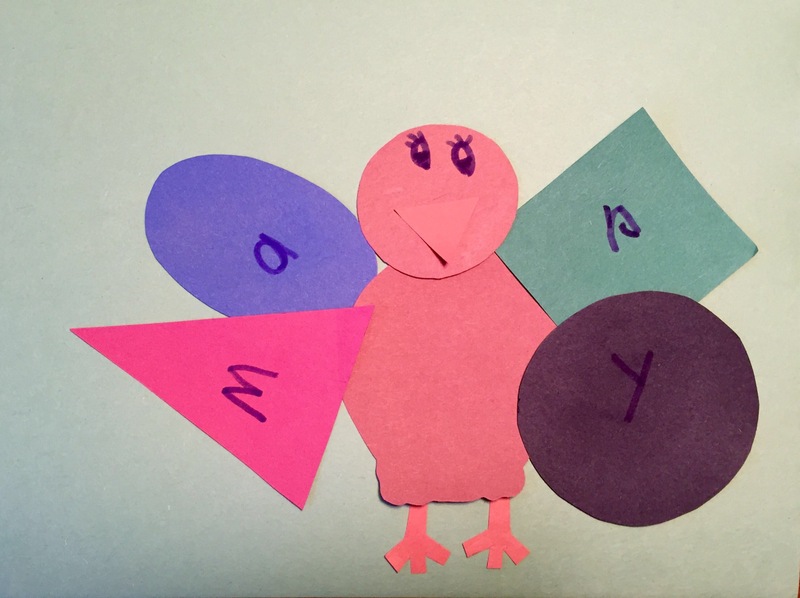 Use washable finger paint to create these adorable cards this Thanksgiving. Simply use a paintbrush to apply paint to each finger. Note that the thumb and palm should be the same color to form the body of the turkey. After your painting is dry, add turkey features, such as beak, eyes, feet, etc. 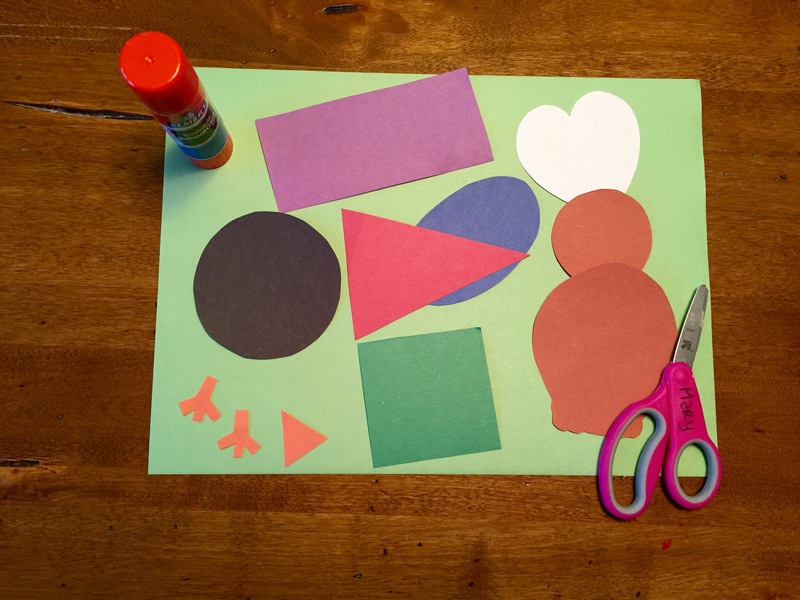 Then, glue to a sheet of cardstock or construction paper. 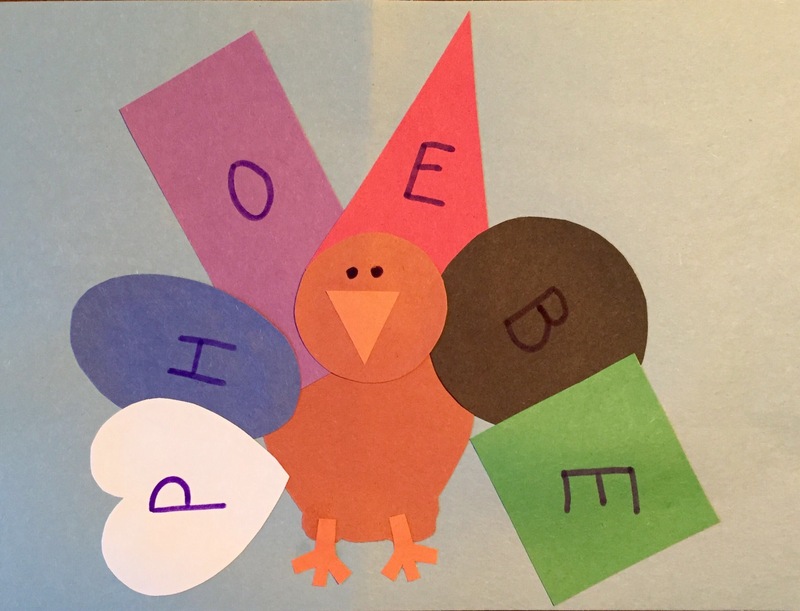 (On the inside, we wrote “Thankful for you!”) Happy Thanksgiving! With Thanksgiving right around the corner, it is the perfect time to start your thankful tree(s). Make a tree trunk out of whatever materials you have. 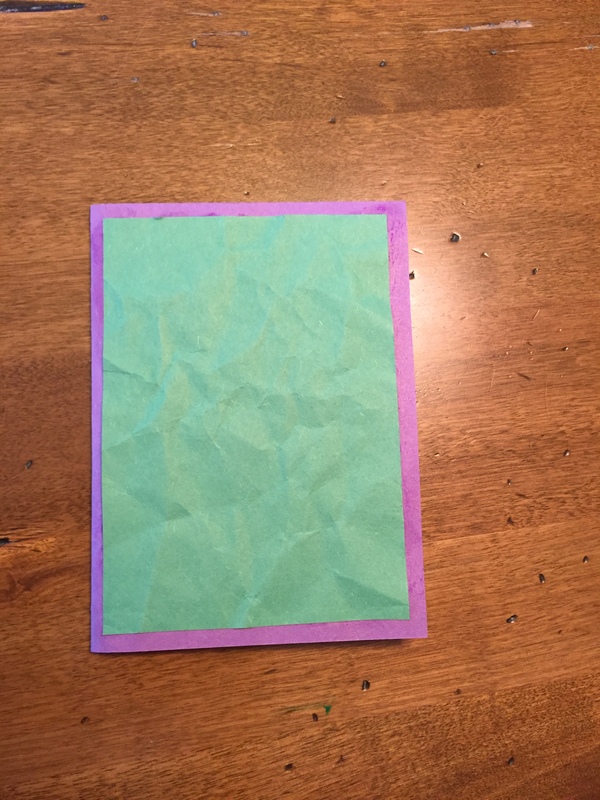 We used brown wrapping paper, but construction paper, cardboard, paper bags, etc. would do the trick. 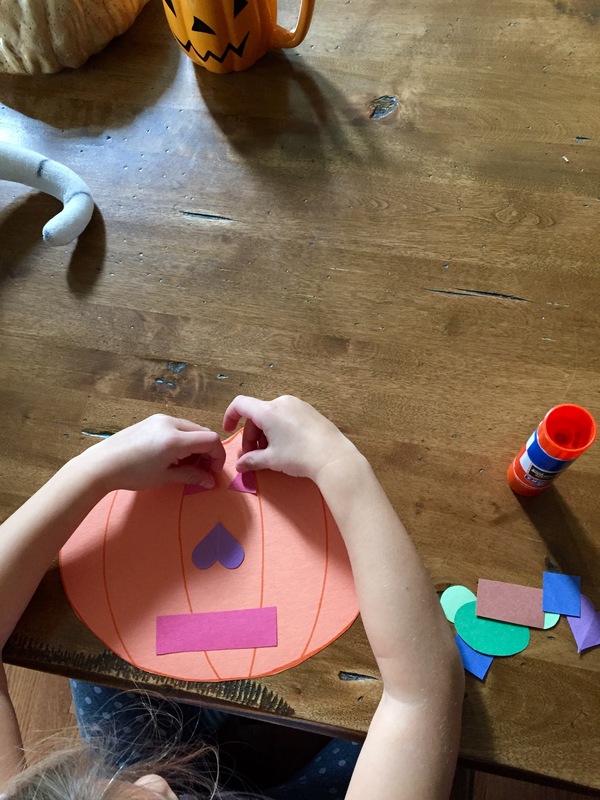 Have your cuties trace their hands onto paper and cut them out for the “leaves” of the tree. Lastly, have them write down what they are most thankful for and proudly hang them for all to see. Fold a piece of paper in half and then in half again. (We used purple.) This will be the basis of the card. 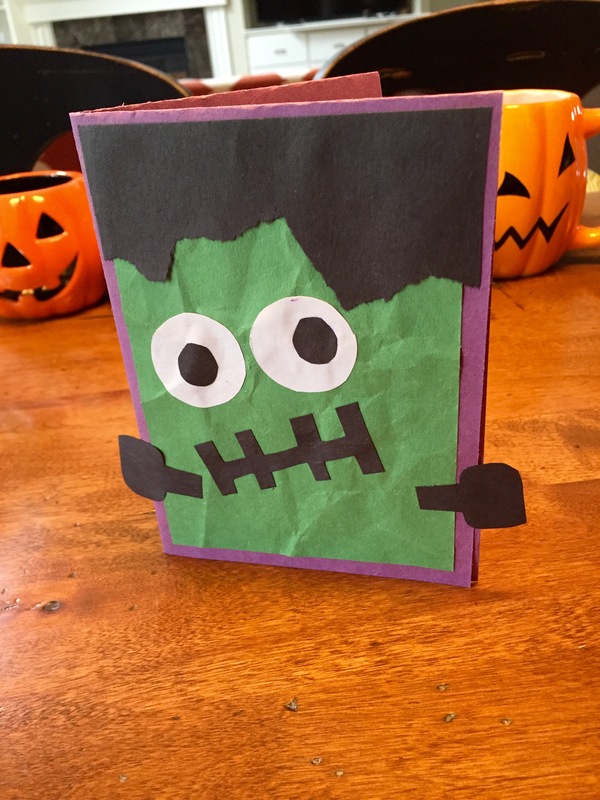 Crumple a 1/4 piece of green paper to give Frankenstein a distressed look. (Leave flat if desired.) 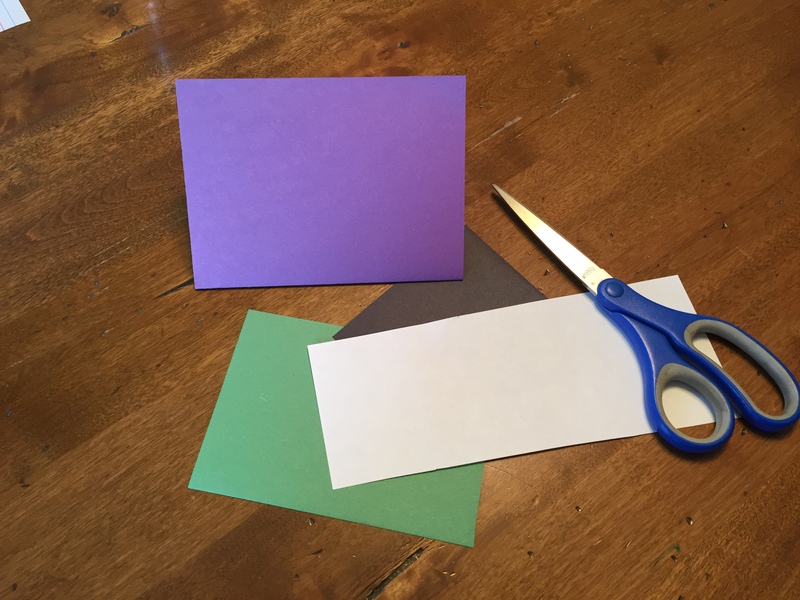 Glue it to the front of your card. Assemble Frankenstein’s Face. We used construction paper, but feel free to make out of whatever you like (chalk, felt, crayon, etc.). Fill your card with your spookiest salutations. 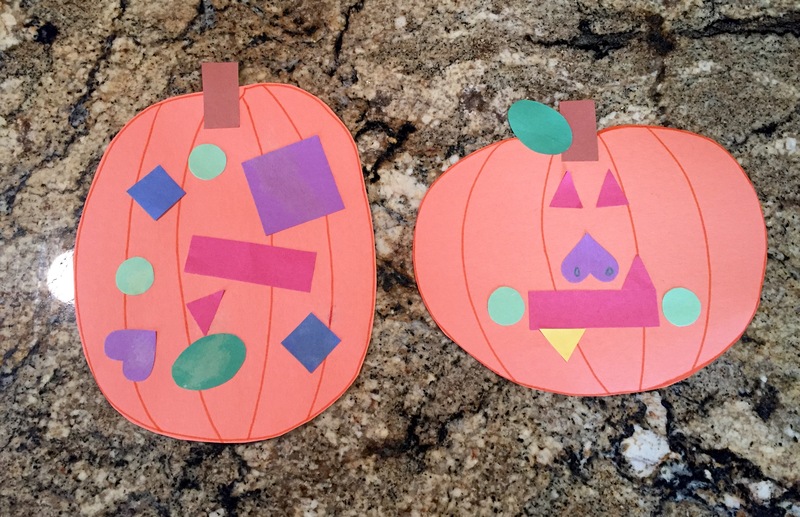 My cuties had a blast making these shape Jack O’Lanterns! A fellow nanny shared this idea with us, and we’re hoping you share it too…thanks, Ms. Lauren! 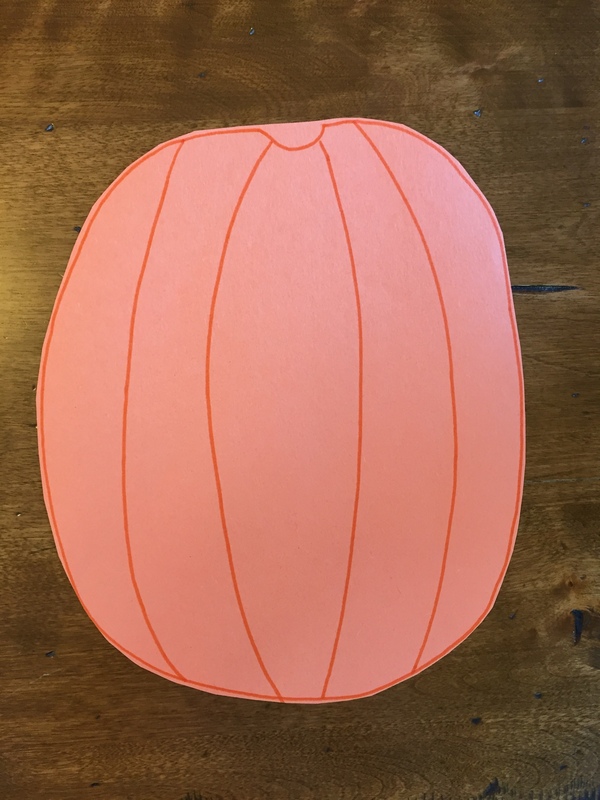 Begin with a pumpkin cutout and several shapes of varying sizes and colors. 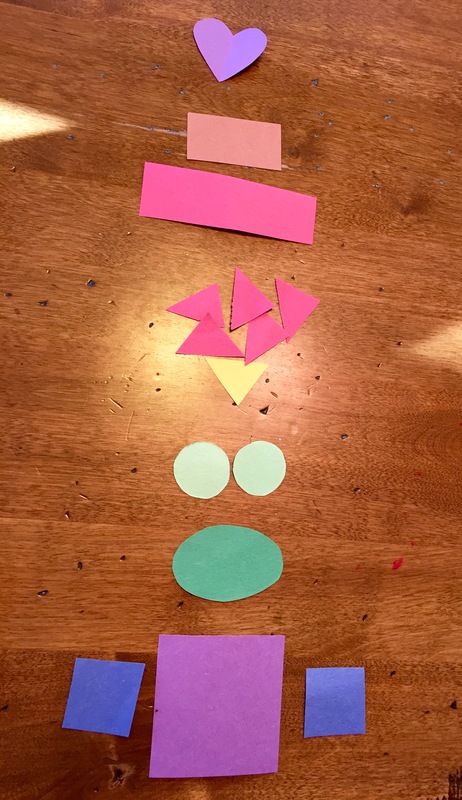 Assemble a face out of whatever shapes suit your fancy.